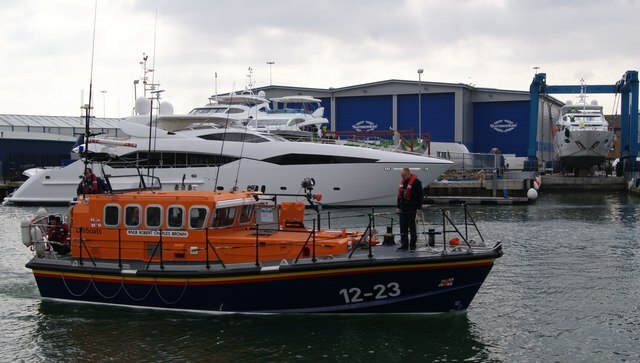 The Royal National Lifeboat Association (RNLI) and Sunseeker in Poole are two of several local employers who have advertised new opportunities as part of national apprenticeship week. 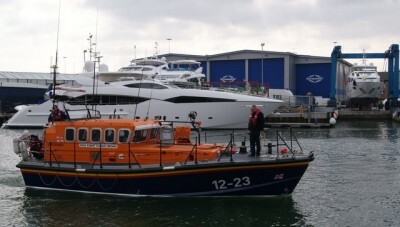 National charity the RNLI have five openings in Poole and two on the Isle of Wight whilst luxury yacht makers Sunseeker have announced they will be creating 28 positions at their Poole manufacturing centre during the year. Other local businesses to announce positions include Liverpool Victoria (LV), Astute Limited, Audi and Kuehne and Nagel. Addressing concerns about predicted skill shortages in the future, Ms Mason said they are particularly focusing on engineering apprenticeships, “to build lifeboats and maintain our lifeboat fleet”. Meanwhile Sunseeker will be launching a range of apprenticeships in areas including marine engineering, electrical and carpentry. Alex Bowman from Sunseeker said that the announcement, “underlines our commitment to enabling young people in the local community to kick-start an exciting and rewarding career in the marine sector”. Anthony Jenkins applied for an apprenticeship at Bournemouth based company Cobham Plc as his school did not offer A Levels in the subjects he was interested in. He says, “apprenticeships have a massive benefit because you can gain a huge amount of work experience from within the industry and make vital career path choices based on experience”. Apprenticeships with Sunseeker are run in partnership with Bournemouth and Poole college who organise many of the opportunities in the local area. The college is running a Science, Technology, Engineering and Maths (STEM) employer event on Thursday 17th March as part of the apprenticeship week. J.P Morgan and FTNC Training will also be holding information sessions in Bournemouth. An interactive map of national events can be viewed here.